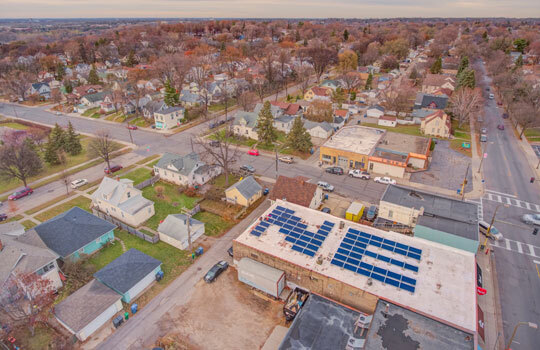 In the heart of the Audubon Neighborhood, in Minneapolis, you will find one of Minnesota’s most unique rooftop solar arrays. 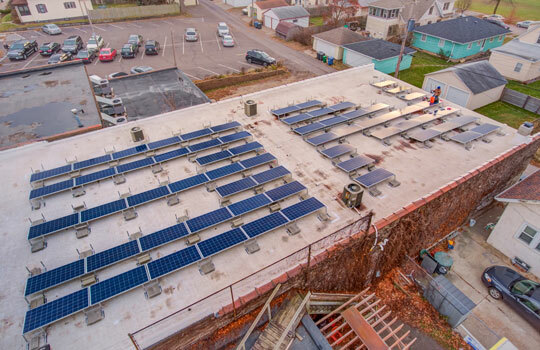 The neighborhood coffee shop is using more than 60 solar panels to power its facility. New solar energy incentives made this an easy decision for a company committed to energy efficiency. The Coffee Shop Northeast came to IPS Solar with the request to do something special for the business. Our project engineers designed a project that will not only save the business money, but provide an aerial landmark for the next 25 years. In addition to design and development, IPS Solar also installed the solar array.